So, Google I/O is all wrapped up, but Thursday morning yielded some seriously ground-breaking news: Android apps are coming to Chrome OS. They are native. And they are ALL coming. All the apps are coming. I wanted to take a minute and unpack what that means for all of us who use Chrome OS and all those who are considering it as a platform. When the ARC Tool came out over a year ago, I remember thinking it would be cool for more Android apps to start leaking over to Chrome OS, but I didn’t set my hopes very high. ARC was a neat tool (read more about it hear), but it created a siloed, specialized environment for Android apps to run in. In my opinion, this was a work-around and probably something a busy Android developer wasn’t going to really bother with long-term. My suspicions were accurate, and there are, to this day, very few apps that ever made the journey over to Chrome OS. So the announcement that “Android Apps are coming to Chrome OS” is really pretty lame on it’s own because of that backdrop. What Google has done, though, is far from this. In a far more genius move, we will soon have the entirety of Google Play at our Chrome-OS-loving fingertips with little to no friction for app developers. Instead of delivering a path for devs to invest time and effort to make their apps work on an OS that has substantially less reach than Android, Google has rolled out the red carpet and cleared the way for developers to write one app and have it work across all of Google’s OS ecosystem. This will not be a pick-and-choose setup, either. Everything from Gmail to Modern Combat 5 will be available to Chrome OS users. The only caveat will be apps that require things like GPS will show up as “not compatible with your device.” Obviously, Chromebooks don’t come with GPS, so those apps wouldn’t work well. Other than those types of issues, all apps will work fluidly. Here’s the thing. If Google debuted this and all these apps ran in some sort of emulated form, we’d still have something pretty cool to look forward to. However, Google has made possible something most of us only hoped for: native app installs. While I’m not a developer and cannot fully understand how this is possible, I do know and understand the difference between emulation (something like Bluestacks or ARC Welder) and native software. And what that means matters. Android and Chrome OS are both operating systems with different ways of handling things like notifications, sharing between apps, windowing, and multitasking. Though the underlying concepts are the same, the way they are handled between the two are quite different. If we were dealing with emulation, all the Android apps would deal with their settings, notifications, home screens, etc. in their own environment. While this could still be beneficial, the overall feel would be a Chromebook running two distinct OS’s. It wouldn’t be clean, succinct or easy to work with. It would be bolted-on and clunky. The reality of what is coming is much more integrated than that. Your Chromebook will in fact behave (from Google Play’s perspective, anyway) just like any other Android device you have. Apps will install and run locally. Notifications will show up in your tray just like they do from Chrome OS. Apps will launch in individual, resizable windows and take advantage of radios, GPU, and processors just like they would on an Android device. So, what you get is all the app support of Android without Android. But, underneath it all, we use our OS of choice for the apps that populate it’s ecosystem. Your launcher and homescreens on your Android device are simply an app (Google Now Launcher, NOVA, etc..), the core functions are all individual, downloadable apps from Google, and the rest is compromised of apps you’ve chosen to use from a myriad of developers. The underlying OS doesn’t matter that much. Google knew this years ago when it made Play Services a detached entity from Android. And now, it is leveraging that move in a seriously powerful way. All those who have used Chrome OS devices have long contended with the supposition that Chromebooks aren’t suitable for productivity. And, for the video/photo editors among us, this is true. For folks like me, I’ve been quite productive on my Chrome OS devices for years now, but with the help of Ubuntu via Crouton. For many, this path isn’t viable. They want to buy a device, power it up, sign in, and get to work. Missing apps left huge productivity gaps in many people’s work flows. Those gaps can now begin closing. Android has lagged far behind iOS in productive app development because the tablet landscape has been pretty barren. Devs have little reason to write great productive apps for a phone, so this segment has always sagged. But now, Android developers can target the larger screened devices with true purpose and hope that their app may receive large, full-scaled rollouts. Let’s take one segment: video editing. The choices on Android aren’t as vast or high-quality as the choices you find in the iOS App Store. But, can we blame the developers for this? I don’t think so. With Android tablet adoption being so poor, there’s little reason for devs to consider these types of apps for a primarily phone audience. No one wants to spend time trying to build a professional level video editor that will only be used on a phone. With this app shift for Chrome OS, this can (and hopefully will) change. Now, you have an exploding education segment already armed with Chromebooks, and growing enterprise market, and an increasingly vibrant consumer market that will soon have the ability to access all of Android’s apps on their Chromebooks. This increases the reach of any give developer’s productivity app substantially. I doubt the impact will be as huge for consumer apps and games, but the audience will be increasing substantially either way. And what this means is more attention from developers who make video editing software, for instance. Before this shift, they were spending their time on OSX, iOS, and Windows. Now the audience for their productive app has grown exponentially and basically overnight. Now they have a reason to write great software for a larger screen. Now we start seeing great full screen apps that were never really in play before now. This one is easy. More apps and app support mean a growing number of people begin to see Chromebooks as viable replacements for their aging Windows and Mac devices. Once great apps get married to a clean desktop interface and the best version of Chrome in a desktop environment, you have little reason to need anything else. This won’t happen overnight, but it will begin this fall as Chromebook attain this new, nifty skill. 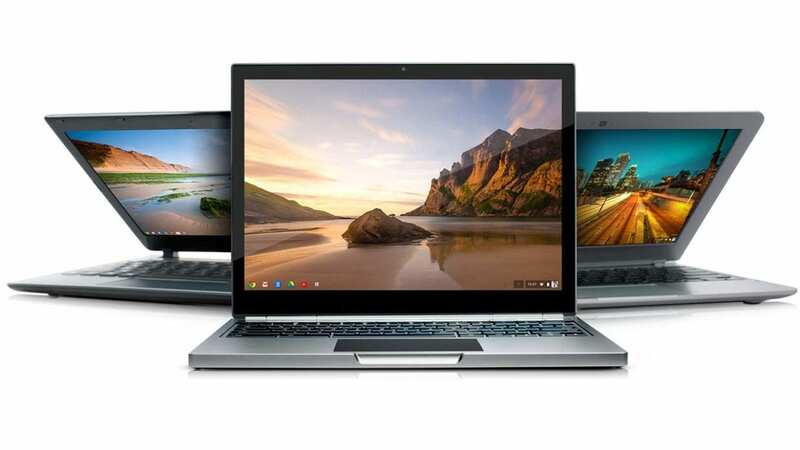 Chromebook adoption will increase exponentially. Lastly, all this points to OEMs making more devices. As the crowd of users grows, OEMs take more notice and begin making more, varied, creative devices. Think about this for a minute: the Pixel C, given new life via Chrome OS, positioned as a tablet/desktop hybrid. Now, the Pixel C may never see this happen, but a similar device could be amazing. Android when in tablet mode (running a launcher if you want), but the full desktop experience of Chrome OS when paired up with a keyboard and mouse or trackpad. It’s the best of both worlds. And it’s just the start of what could be possible with this move from Google. The possible explosion of new devices only will serve to add fire to Android’s developers, which continues the growth of the platform. The future is truly bright right now for Android and Chrome OS. And I’m excited.